Earn 60,000 points after you spend $5,000 on purchases within the first 3 months. Terms Apply. 5X Membership Rewards® points on flights booked directly with airlines or with American Express Travel. 5X Membership Rewards® points on eligible hotels booked on amextravel.com. The Platinum Card® from American Express (a SmartAsset advertiser) is an enticing option for those looking for significant travel rewards and a charge card that has flexible spending limits. First and foremost, we must make clear that The Platinum Card® from American Express is a charge card, not a credit card, meaning that you cannot carry a balance on the card. You must pay your balance in full each month with this card. However, with this minor inflexibility and an admittedly high annual fee come quite a few noteworthy benefits. 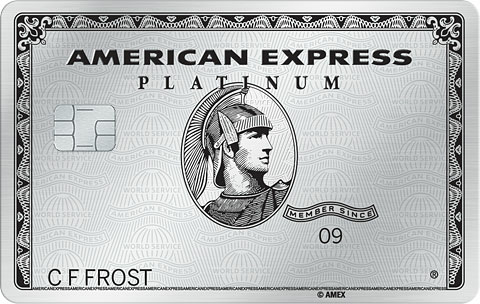 Upon first receiving the card, users of The Platinum Card® from American Express can earn 60,000 Membership Rewards® points by spending $5,000 within 3 months of making an account. In addition, users of the card can earn 5x Membership Rewards® points on airfare booked through directly with airlines or through American Express. These points can be redeemed on travel, online shopping, gift cards, entertainment, dining, etc. or can be transferred to airline rewards programs like Delta SkyMiles® or hotel rewards programs like Hilton Honors™. Just by signing up for the card, however, you are already entitled to a whole host of complimentary services and benefits. In terms of flying, all Platinum Card® holders are provided with $200 worth of credit at a participating airline of their choice that can be used on any incidental travel fee such as checked baggage or in-flight meals and entertainment. Outside of the airport, the card allows you to skip ahead to higher levels of designated reward programs, letting you enroll in car rental programs like the Hertz Gold Plus Rewards and hotel programs like Hilton Honors™ Gold Status. Finally, as a Platinum Card® holder, you will have access to American Express’ Concierge services to help you arrange any dining or entertainment plans you may need. In summary, The Platinum Card® from American Express provides a number of high value travel perks at the cost of a relatively large annual fee and the inability to carry a balance. While this combination might not fit everyone, if you are a frequent traveler, The Platinum Card® from American Express might be the right card for you.